This Easy White Bean Soup comes together with little effort and is a deliciously warming soup you’ll be making all winter long! Soup recipes are great for making ahead and portioning into lunch sized meals too. So you guys may know from previous posts that I love smoothies, so naturally I also love the savory cousin of smoothies…soup! Throw everything in a pot, taste, adjust as needed, serve. There’s really no messing up. This Easy White Bean Soup has roasted garlic (i.e. 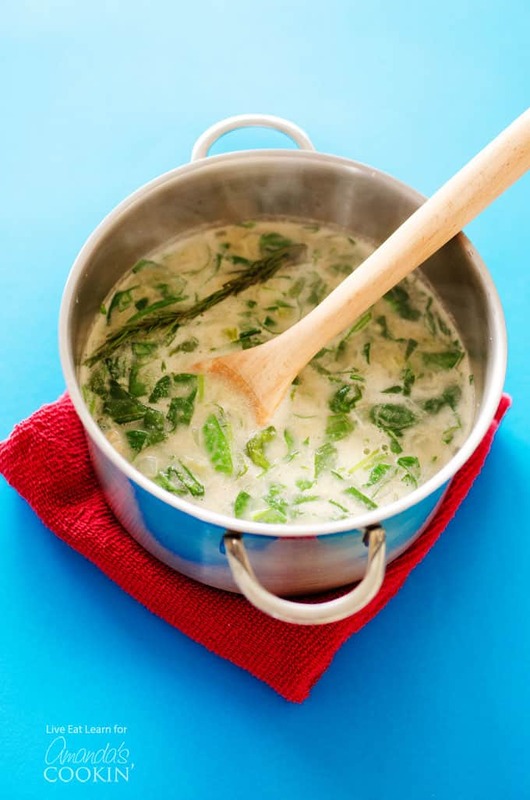 the best flavor known to mankind), creamy white beans, and a handful of spinach (for the health of it!). It would be perfect with these homemade Olive Garden bread sticks! The tulip-man and I are currently on a diet that cuts out grains, dairy, sweets, and meats. And I’ve got to say, some of these food cravings get pretty intense! But you know what? This soup fixes them all. 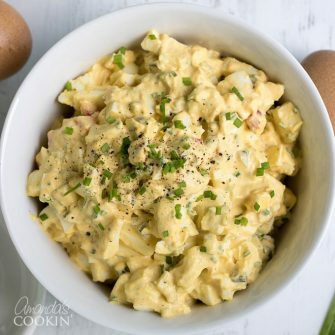 It’s creamy, hearty, and soul-warming, and I can’t wait to serve it up to my family and friends this holiday season. So here’s how we do this. First we’ll roast some garlic, making our homes smell like an Italian grandmother’s kitchen, and laying the foundation for a darned tasty soup. When that’s done we’ll lay the second foundation, sautéed onion and celery. Cook them a bit, add the beans, broth, milk, pepper, and garlic, then cook. Spoon out a bit of the veggie, blend the rest (we want there to be some chewy bits! ), then add the veggies back in. Throw in fresh spinach, let it wilt down, and voila! 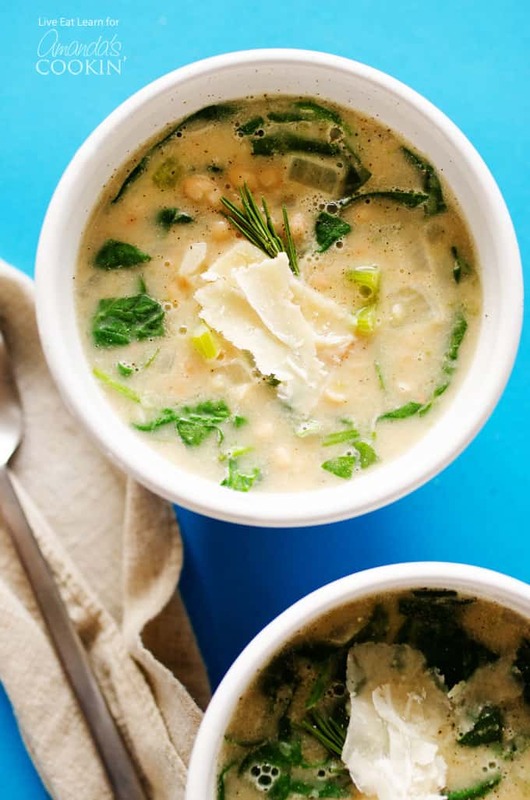 delicious, healthy, way easy white bean soup. Other soup recipes you might like include this Italian Sausage Tomato Orzo Soup which is similar to an Italian Wedding Soup. The finishing touch is the additional of fennel to this delicious recipe. 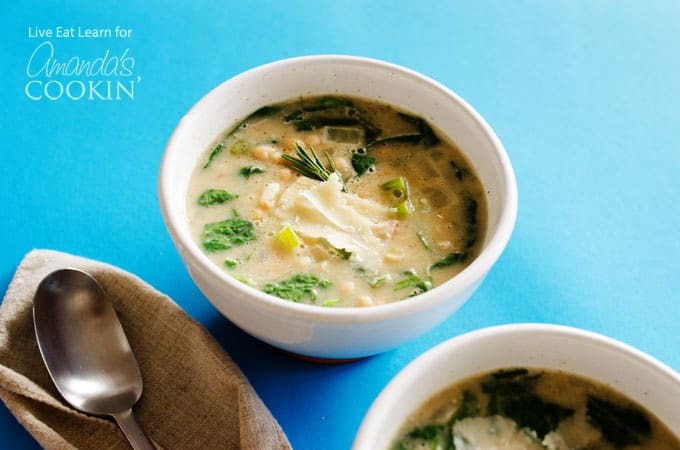 In keeping with the Italian theme, you’ll definitely want to try this recipe for Olive Garden Zuppa Toscana. Italian sausage, kale, potatoes and bacon simmered in a delicious milky chicken broth, it’s divine! Make sure you browse all of the different soup recipes on this blog and hit the print button or pin them to save! 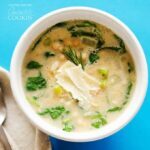 This Easy White Bean Soup comes together with little effort and is a deliciously warming soup you'll be making all winter long! Chop the top portion off the garlic bulb to expose a bit of the cloves, leaving the paper in tact. Set bulb on a sheet of aluminum foil and drizzle 1 Tbsp olive oil onto it, letting the oil sink into the cloves. Wrap the bulb up in foil and bake for 30 minutes at 400 degrees F, or until cloves are soft and lightly browned. In a large pot, heat 1 Tbsp olive oil over medium heat then add onion and celery. Cook until celery is bright green and onion is soft, about 5 minutes. Add beans, broth, milk, pepper, and 1 Tbsp of the roasted garlic cloves. Cook over medium heat for 15 minutes. Use a slotted spoon to remove and reserve 2 cups of the veggies. Working in batches, or with an immersion blender, blend the remaining soup until creamy. Add the 2 cups of veggies back into the soup. Add spinach and cook a few minutes until wilted. Serve warm, optionally topped with parmesan and rosemary.